Sneezing is important to keep the body healthy, it is an immune process that ensures the body is sniffle-free which keeps the lungs lubricated as well as ensure the body has enough balance and mucus to function. Sneezing is a sudden involuntary expulsion of air from the mouth and nose (simultaneously) due to irritation from the nostrils. 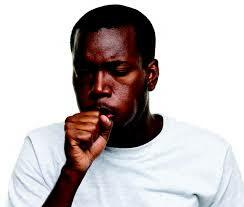 This reaction can be caused by anything from smoke, extreme cold and irritation and it’s a way to keep the body safe. Reports that holding in a sneeze could kill is so true! Studies reveal that when sneezing the nose can generate up to 176mmhg if the mouth and nose are closed (in cases of attempting to suppress the process) which can cause infections. The nose is connected to the Eustachian Tube which is connected to the middle ear, where sneezes are suppressed dirts/bacteria can be pushed into these areas which ends up causing (ear) infections. Blood clots in the brain, loss of hearing, neck problems, glaucoma and stroke are attributed to high pressure caused by sneezing! The point of sneezing is to get rid of unwanted irritating ‘factors’ from the body (usually before it reaches the lungs). Sometimes when caught at awkward moments, one might be forced to try to suppress/hold in a sneeze but doing that can cause serious lasting damage to the eardrums and even more severe things! When one senses a violent sneeze coming through by all means let it out, in the most hygienic way of course.